We built this agency with the goal of helping local businesses all across the globe have a fighting chance, and eventually dominate their respective niche. Gone are the days of businesses with the biggest budgets buying up all the ad space. The internet has leveled the playing field and now, it is those who hire the most skilled who will win. Thats why we stay on top of the online aspect of your business – so you can focus on the fulfillment of all the business you’re about to get. Simply put, at Search Beast we help your business gain more exposure online. Whether that be with search engine optimization, social media marketing or web design we can do it all. Our primary focus is in SEO which is one of the most powerful ways to drive traffic to your website. 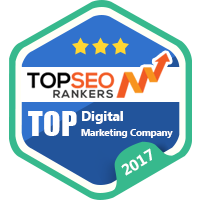 We are a premier firm who only practice the best tactics that will make your website rank on the top of Google. Due to our wide experience in the field, we know what it takes for your website to rank highly for certain keywords. We will help you in carrying out keyword research so that we will know the most suitable keywords for us to optimize your website. Our clients are blown away when they see their results and the insane ROI they generate through our work. If your site is not on page one of Google you are losing a large amount traffic to your competitors. We work with Large business all the way to small local businesses to help them stand above their competition. Contact us to see If our services can help you! Our team consists of some of the best from across the world. Here's just a few of our team members. Jabir is extremely competitive and when he decides to commit to anything he makes sure that he becomes the best. His mission is to become the top SEO agency in Canada at wont stop until he gets there. Previous to joining Search Beast, Josh was the top sales representative at a major Canadian energy firm. Josh is now responsible for managing otbound sales efforts. Oriana is responsible for managing the influencer marketing & link building campaigns for our clients. Michael is a passionate web developer who has created hundreds of stunning websites for clients all around the world. His skills and dedication makes him a valuable member of the team. Junaid is a Web Developer and Designer having more than 6 years experience. He created many top-notch website for clients around the clobe.